Styled with dorine skirt and corteta sweater . The size fits me perfectly. It’s perfect for the fall season when it gets a bit chilly. I highly recommend it. And I love the pockets. The fit is great and I love the length. I bought the bone color, which is so lovely...but after wearing it once It has been pilling like crazy and now looks quite messy. Very disappointed. I got the jacket in charcoal, and I absolutely love it. I bought the jacket for work, as it is simple and fitted very well in the waist and hips. On the other hand, the shoulders are loosely fit (i.e. 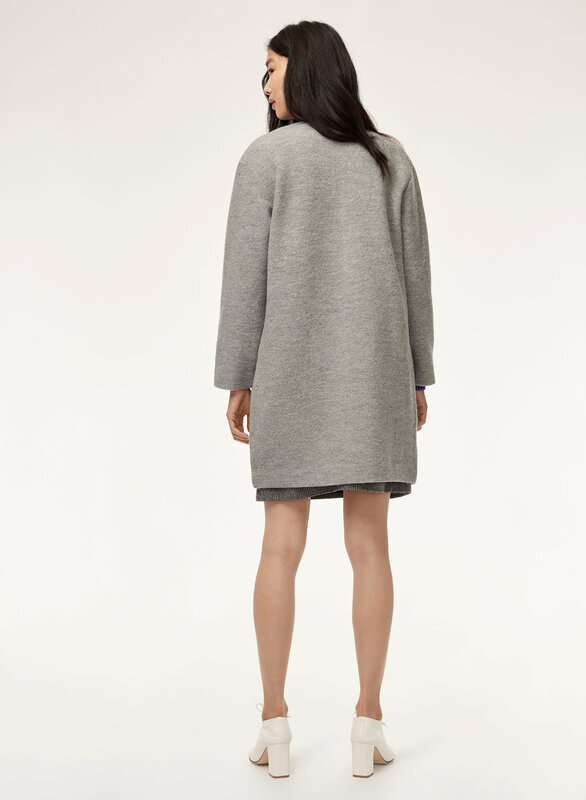 the seams go over the shoulder), making it easy to fit a sweater underneath the coat. Very laid back chic. My favorite thing about this jacket is that I don't look lost in it being small and short. It's a perfect fit and length and very comfortable and look good with jean or fancy pant. I enjoyed the fit of the jacket and how it was not tight. However, after one wear, it started to pill a lot. This is a great staple to add to your wardrobe. A comfortable yet flattering fit. I ordered a size down, and it is perfect. Warm and versatile.New favourite ‘go to’. 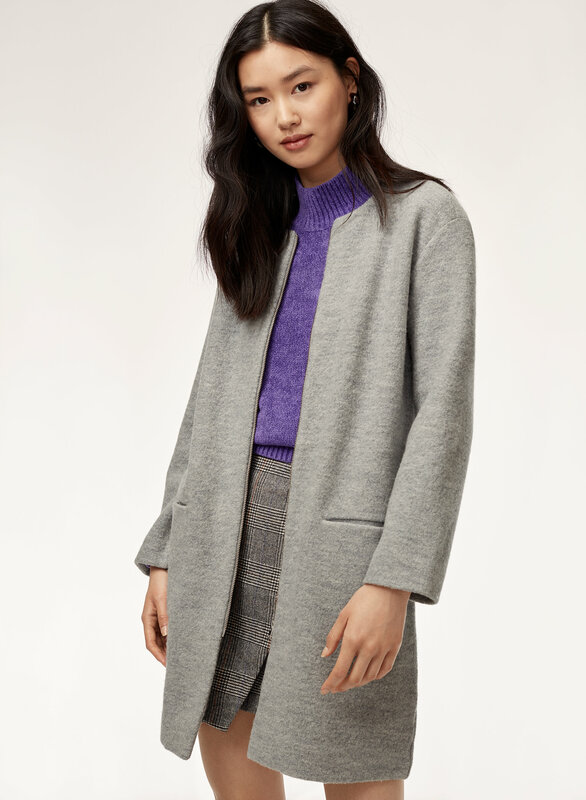 Versatile jacket that I keep on inside at work and wear it as a top layer/sweater in the fall/winter. Amazing fit and cut. I love the colour too!